Provide comfort for the family of Anita Edwards with a meaningful gesture of sympathy. Anita Louise Edwards of Bismarck, Missouri was born on November 8, 1954, a daughter to the late Arnold Timbs and the late Wilma (Parrish) Timbs. 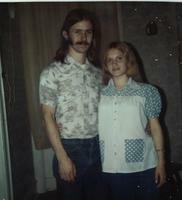 On March 7, 1970, Anita was united in marriage to Daniel Edwards and they shared forty-nine years together. Anita entered eternal rest on Wednesday, April 10, 2019 at her residence surrounded by family having reached sixty-four years of age. In addition to her parents, Anita was preceded in death by her mother-in-law, Christine Pankey; sister, Juanita Timbs; and sister-in-law, Gloria Timbs. 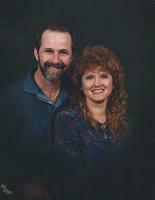 Anita is survived by her beloved husband, Daniel Edwards; two daughters: Amy (Matt) Smith and Danielle Edwards; brother, Billy Timbs; sister, Patricia (Chuck) Kerlagon; and seven grandchildren: Natalie Smith and Fiancé Brandon Steele, Alex (Macie) Smith, Eli Smith, Nicholas Smith, Abner Edwards, Princedon Reeves, and Anna Grace Smith; also surviving are nieces, nephews and dear family friends. Visitation will be held on Friday, April 12, 2019 at DeClue Funeral Home from 5:00 p.m. until 8:00 p.m. Visitation will resume on Saturday, April 13, 2019, beginning at 9:00 a.m.
A funeral service to honor Anita will begin at 11:00 a.m. on Saturday, April 13, 2019, held in the DeClue Memorial Chapel with Pastor Matt Smith officiating. 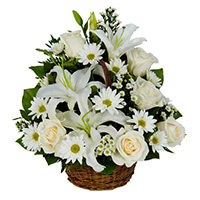 All funeral arrangements have been cared for by DeClue Funeral Home. 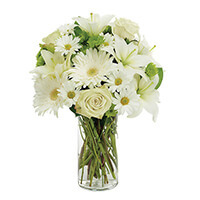 To send flowers in memory of Anita Louise Edwards, please visit our Heartfelt Sympathies Store. The Burchett/Gleiforst Family, Rick and Letha Whitter & Illinois Church of God, and others have sent flowers to the family of Anita Louise Edwards. You will be missed and I will always cherish the fondest of memories. The Burchett/Gleiforst Family purchased the PEACEFUL WISHES for the family of Anita Edwards. Love and prayers to your family. Rick and Letha Whitter & Illinois Church of God purchased the THINKING OF YOU BASKET for the family of Anita Edwards. Our thoughts and prayers are with your family during this difficult time. 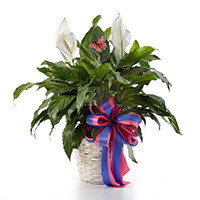 George and Erica Schaub purchased the Classic Peace Lily for the family of Anita Edwards.